Over the years I've read a number of articles discussing the benefits of learning cursive and its importance in creating synapses and cross brain connections. All of my children have taken a preference to doing a fancier style of cursive, and generally speaking I have taught cursive around the age of 9, or in around class 4. 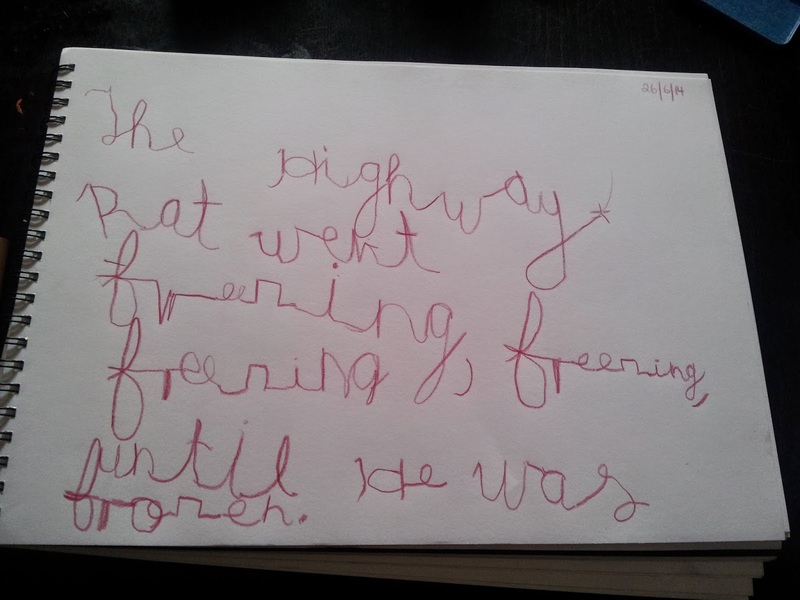 This year, however, I am teaching Arden, cursive at the age of 6 in class 1. Last year, to cover government requirements we did letters and worked on printing and some basic reading. We also happened to read "The Secret Garden" again. In the process of reading it, in particular a passage where Mary and Dicken's sister are speaking, it occured to me that Mary could do cursive but *not* print. In the section that I was reading Martha (Dickon's sister) says that he can read print, but not cursive, and Mary says that she thinks that she may be able to print. Previously I had always taken it that Mary hadn't learn to write yet. Anyway, for some reason I interpreted it the other way this time, that she could write, as in do cursive, but not print. So I did a bit of research, and found that it was once usual to teach cursive first. Anyway Arden is loving learning cursive, he says that it's easier than print and it certainly seems to have improved his ability to print. We did a month of daily cursive, and now we are doing a cursive session once a week, but the aim is to make most written work cursive. Here is Arden's most recent work. His sentence was inspired by "The Highway Rat" by Julia Donaldson. Here is a little bit more interesting reading on cursive.